WordPress has made the web so easy that almost anyone can build a website. However, learning the basics of how web pages work enables you to build a better blog. Use these resources. Only professional developers working for large commercial websites use other technologies and if you have a blog or website you almost certainly use the listed items above. They are fundamental to the web and to the way that WordPress works. All web pages on WordPress websites, and even on many non-WordPress websites, use these technologies. By learning a little about how they work you can do a lot more on your website. You can use fancy tricks like setting the background colour of text to highlight it. You can create text or image boxes that text wraps around. You can change the colour of links on the page, choose different font sizes and more. 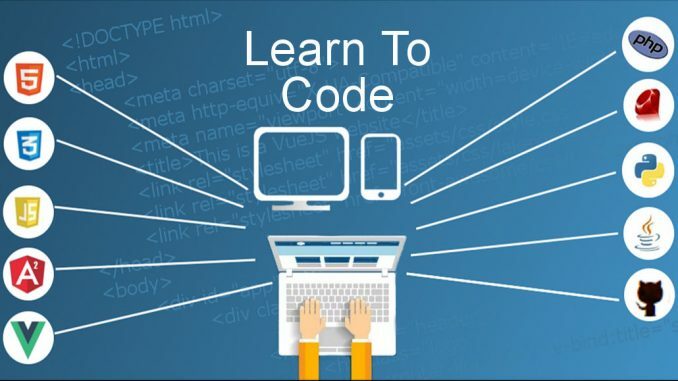 You don’t need to learn coding, become a programmer or developer to use these technologies, you just need to learn the basics of how they work. Just enough to tweak your website. 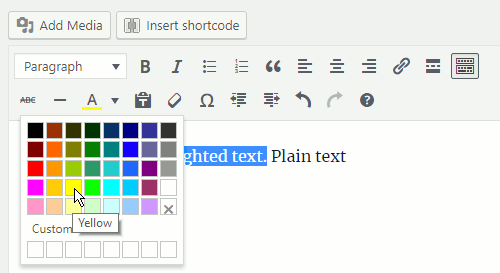 1 Highlight some text in the WordPress post editor with the mouse. 2 Set the colour to yellow. (If you don’t see the second row of icons, click the icon at the far right of the toolbar. 3 The colour of the selected text is now yellow. 4 Switch to the Text tab and look for the word color. This is the text colour. 5 Change it to background-color. 6 Switch back to the Visual tab and now the text is highlighted in yellow. This is not a feature of WordPress, but knowing a little CSS enables the code to be tweaked. How would you do it otherwise? Use a plugin? I hope I have convinced you that knowing a bit about the technologies used to build web pages is useful. It really is and a little knowledge goes a long way. 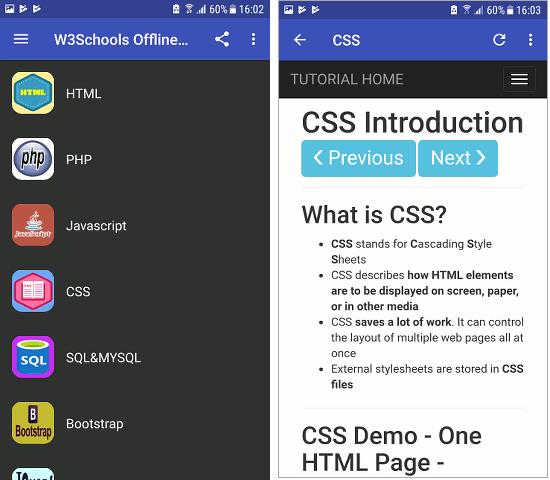 Here are some free apps for your phone that enable you to learn these web technologies. This app is available for Android phones and the iPhone and it has a nearly perfect score of 4.8/5 on Android. It is brilliant and it is a great way to learn about a wide range of coding technologies. HTML Fundamentals is excellent and I would at least take the part Overview and HTML Basics sections. The lessons are short and it offers more than boring text, you get to try things for yourself with little bits of code. There are multiple choice questions, fill-in-the-blanks questions, drag-and-drop questions, and more. PHP Tutorial’s first three modules are useful but if you can go a bit further then you will understand more about how WordPress works. WordPress is powered by PHP. CSS Fundamentals is another excellent course and the first four modules are great for learning the basics. CSS controls the way things look and is a big part of WordPress themes. 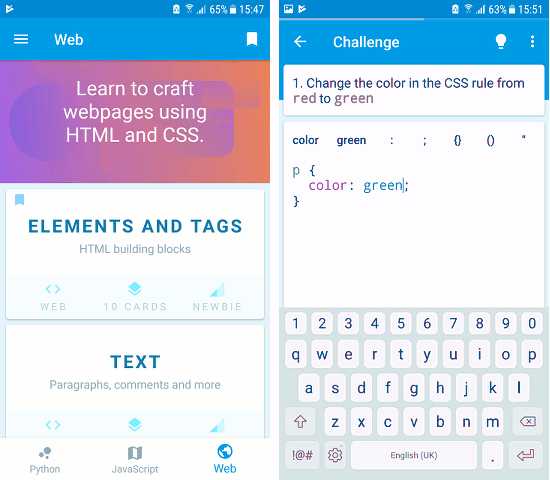 The app has a very strong community and you can ask questions, get answers and follow conversations about coding. Many tutorial lessons have dozens or even hundreds of comments. SoloLearn is an excellent app and is recommended. The Web section has tutorials on HTML building blocks like text, lists, links, images, and so on. A bit further on is CSS styling elements I and II, colours and fonts. Lessons involve changing code snippets, and writing tiny bits of code, which can be done by tapping the list of items on the screen. No need to type. 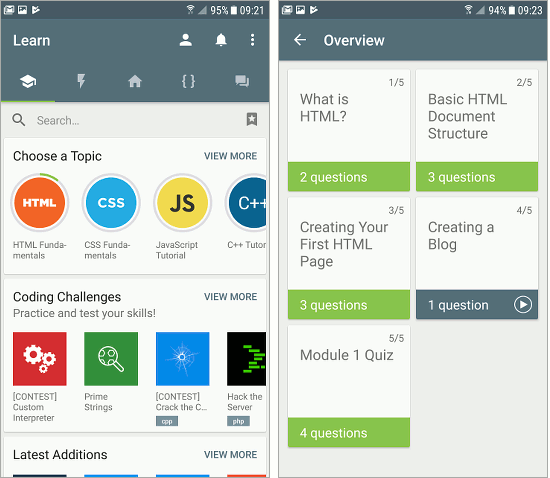 The app is not quite as polished as SoloLearn or as beginner-friendly but is still very good and is recommended. 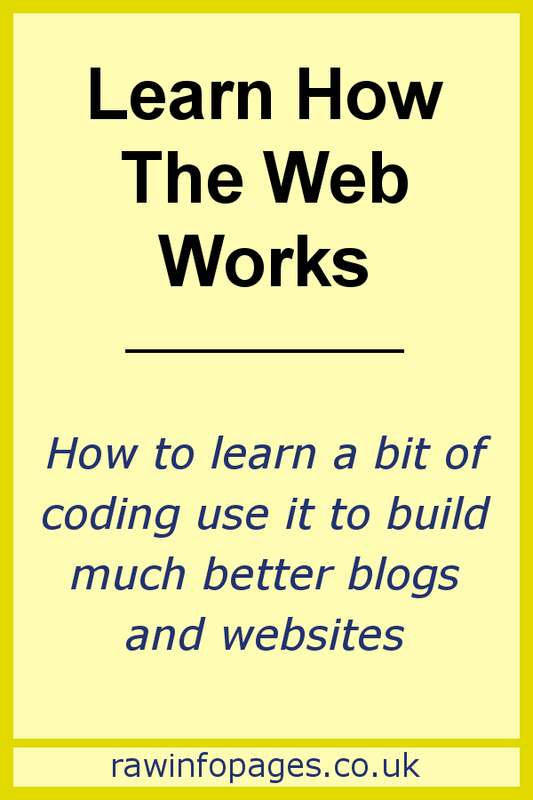 W3Schools is my go-to site whenever I want to know how to do something in code on a web page. It is one of the best resources on the web. This is not really a tutorial and it is more like a dictionary explaining terms or perhaps like a Wikipedia for web developers. I use it to look up things. For example, if I want to know how to draw a border around a paragraph of text I will go and look up borders in CSS and it shows the syntax and options. You can then just copy what it says, paste it into your web page (the text tab in WordPress post editor) and tweak it to suit you.